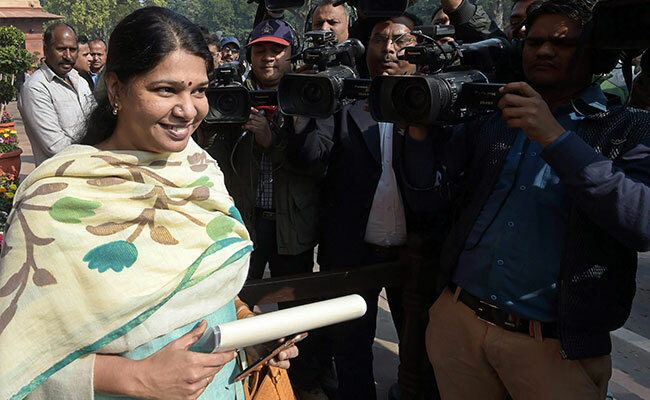 A delegation of Telugu Desam Party today called on DMK leader Kanimozhi seeking her party's support to a no-confidence motion proposed by it against the Narendra Modi government and alleged the ruling AIADMK declined to meet it over the issue under pressure from BJP. The three-member delegation, led by TDP lawmaker CM Ramesh, met Kanimozhi, DMK's Rajya Sabha member and party chief M Karunanidhi's daughter, and sought support to the motion to be moved during the coming monsoon session of Parliament. The TDP, which pulled out of the BJP-led NDA on the issue of special category status to Andhra Pradesh, had moved a no-confidence motion in the Lok Sabha during the previous Parliament session, but it could not be taken up since the House was not in order. Mr Ramesh told PTI that they submitted to Ms Kanimozhi a letter from Andhra Pradesh Chief Minister N Chandrababu Naidu. 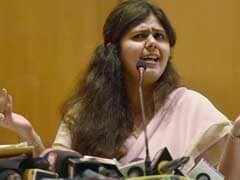 Ms Kanimozhi said the DMK supported the TDP's demand for special category status. "We have always been with them (TDP). We will continue to support their demand. 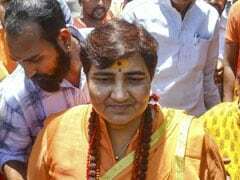 They are just asking what was promised on the floor of the House," she told reporters after meeting the TDP delegation. The TDP lawmaker claimed Chief Minister K Palaniswami and his deputy O Panneerselvam declined to meet them despite having given an appointment, a charge denied by the CM's office. Palaniswami's office told PTI that no such appointments were scheduled. Panneerselvam's office could not be reached for comments. "We came to Chennai only after receiving an appointment from the CM and deputy CM, but after coming here we were kept waiting indefinitely," Mr Ramesh charged. He alleged that the AIADMK acted as per the directions of BJP. The TDP has announced it will once again move a no confidence motion in the coming session beginning July 18. As per directions of the TDP supremo, six teams of the party lawmakers are reaching out to non-BJP and non-Congress parties and their parliamentary party leaders to seek their support for the motion.